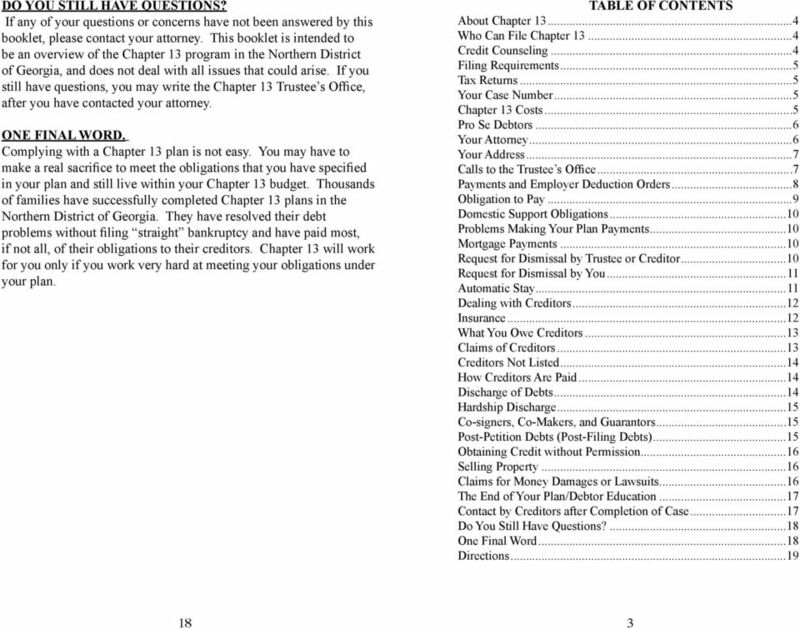 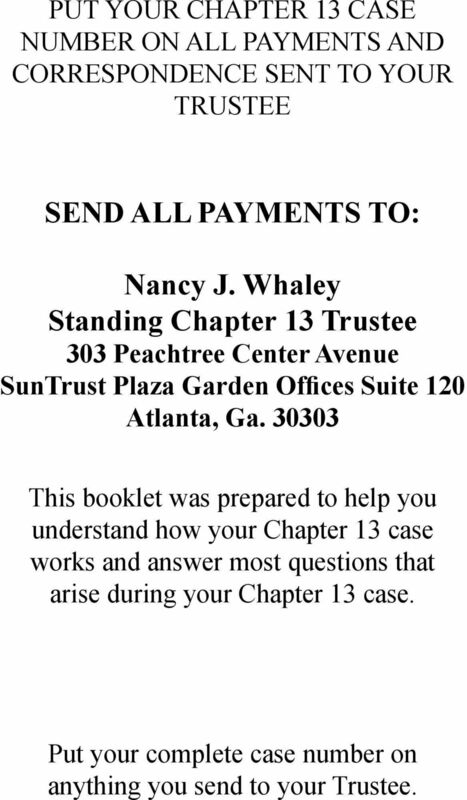 Download "WHAT YOU SHOULD KNOW ABOUT YOUR CHAPTER 13"
2 PUT YOUR CHAPTER 13 CASE NUMBER ON ALL PAYMENTS AND CORRESPONDENCE SENT TO YOUR TRUSTEE SEND ALL PAYMENTS TO: Nancy J. Whaley Standing Chapter 13 Trustee 303 Peachtree Center Avenue SunTrust Plaza Garden Offices Suite 120 Atlanta, Ga This booklet was prepared to help you understand how your Chapter 13 case works and answer most questions that arise during your Chapter 13 case. 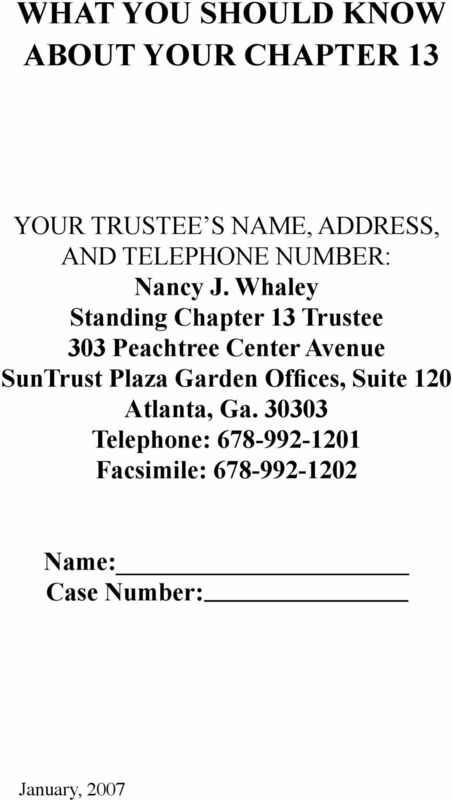 Put your complete case number on anything you send to your Trustee. 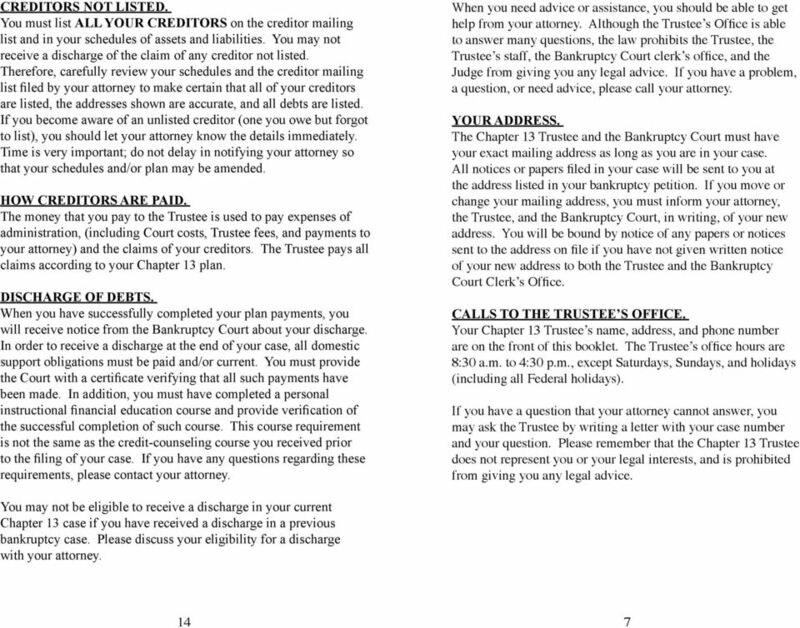 WHAT YOU SHOULD KNOW ABOUT YOUR CHAPTER 13 CASE PUT YOUR CASE NUMBER ON ALL PAYMENTS AND CORRESPONDENCE SENT TO THE CHAPTER 13 TRUSTEE OR THE COURT. 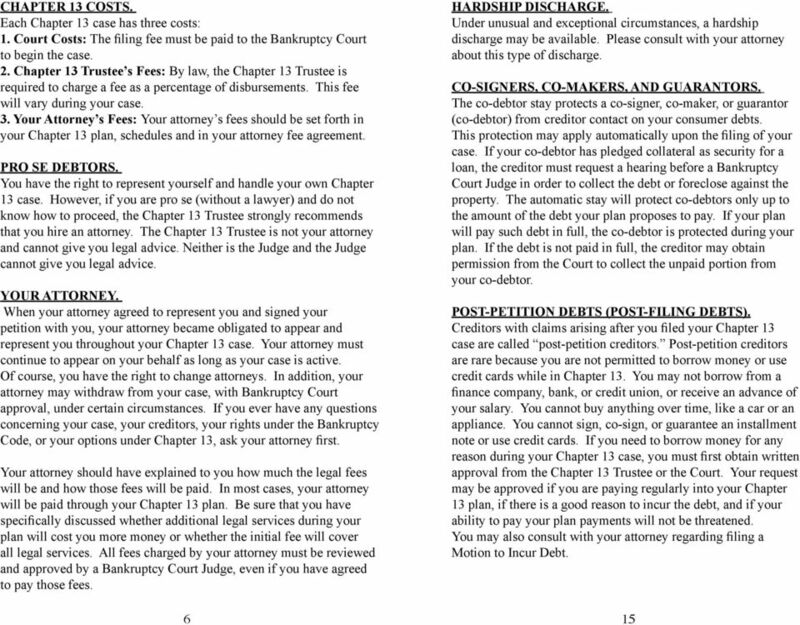 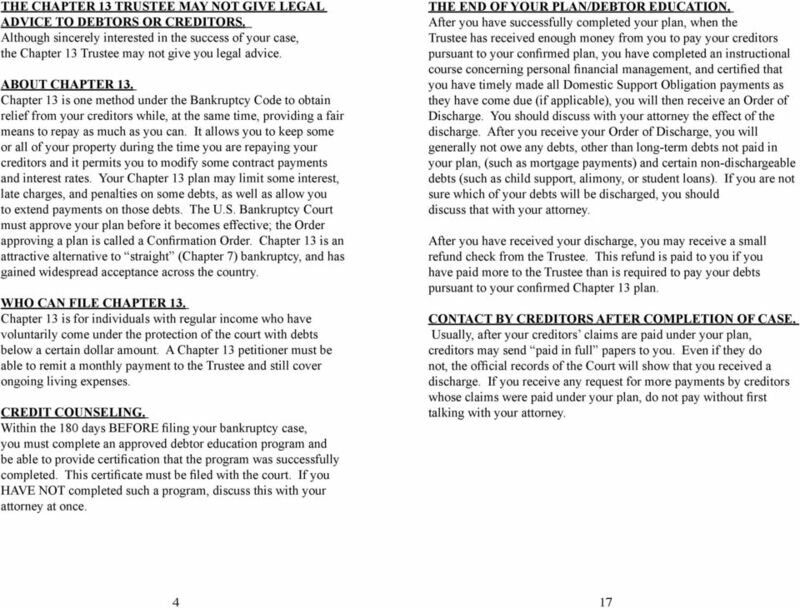 What you need to know about your Chapter 13 Case. 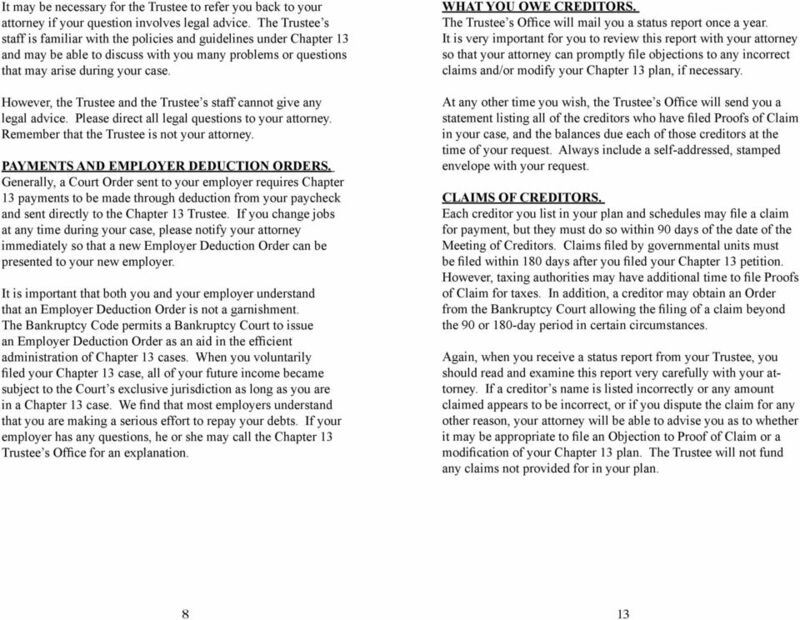 Local Rules 2084-1 through 2084-26 govern chapter 13 practice in cases filed after October 16, 2005. 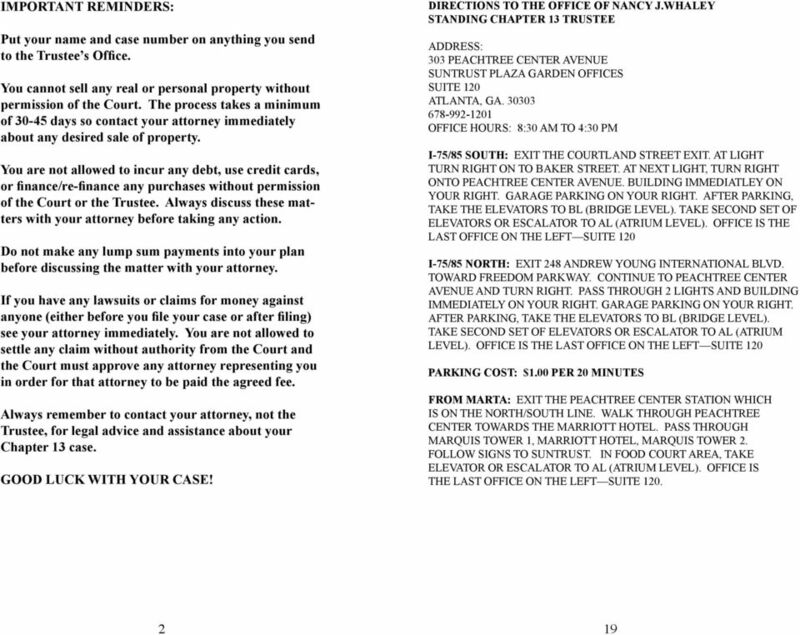 RULE 2084-1. 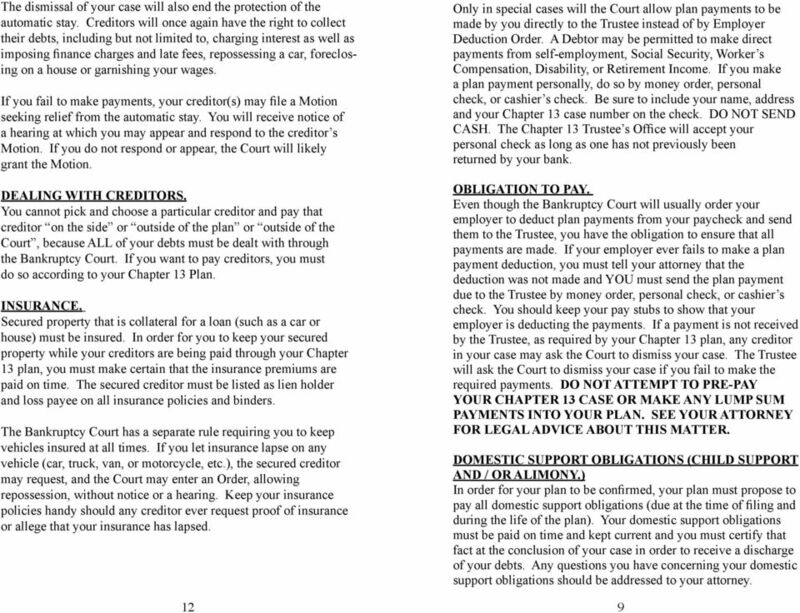 SCOPE CHAPTER 13 RULES Local Rules 2084-1 through 2084-26 govern chapter 13 practice in cases filed after October 16, 2005. 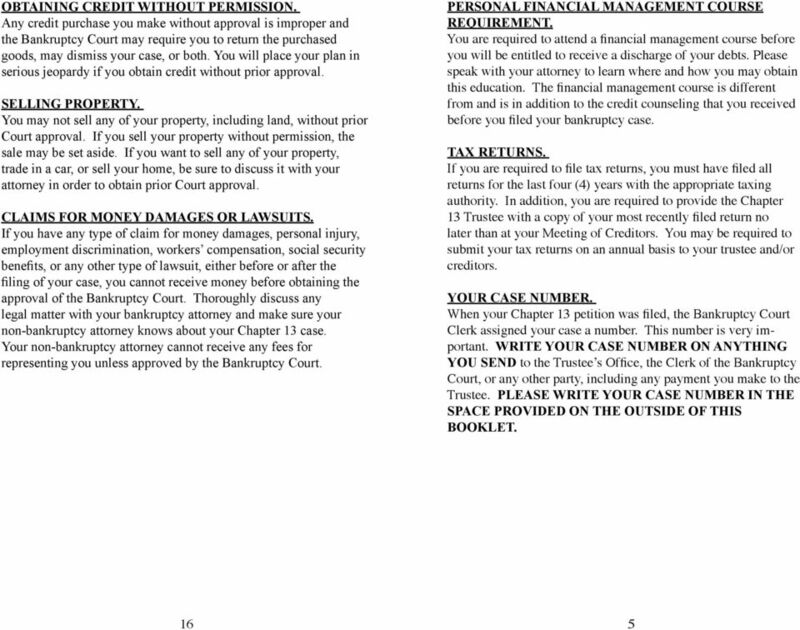 RULE 2084-2. 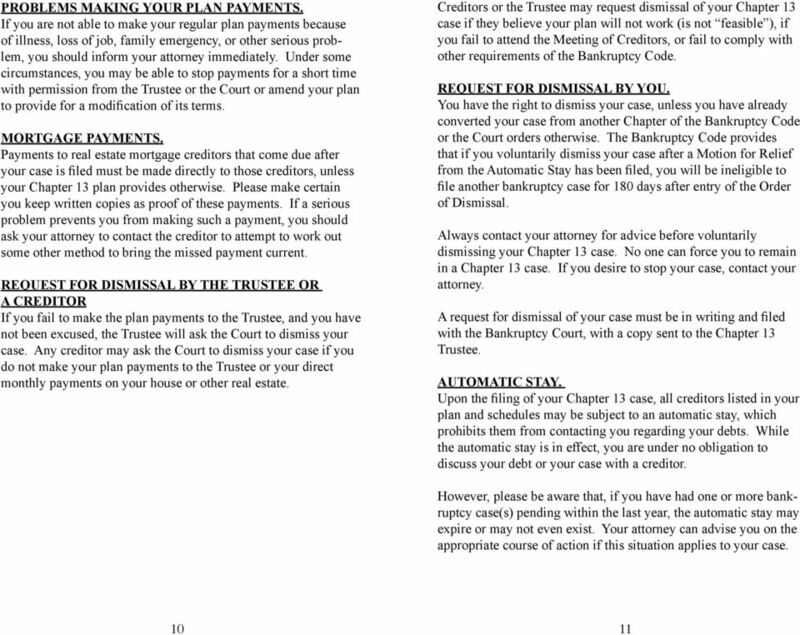 FILING REQUIREMENTS (a) Application to Pay Fee in Installments.